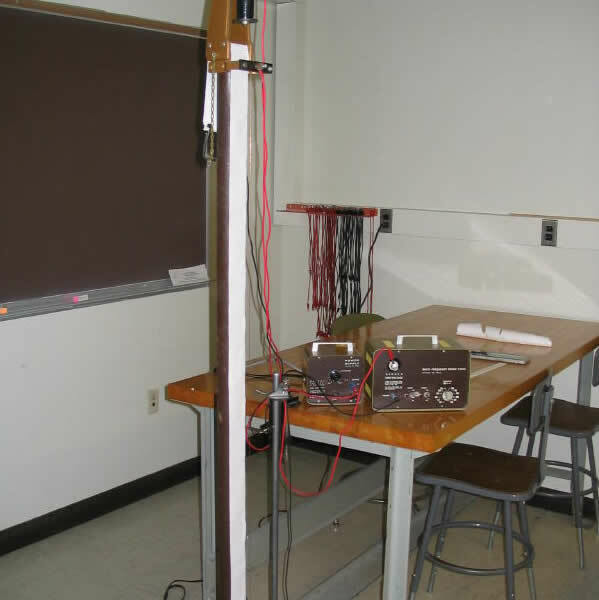 The position of a freely falling mass is recorded by a high voltage discharge through the mass and an adjacent strip of paper every one-sixtieth of a second. 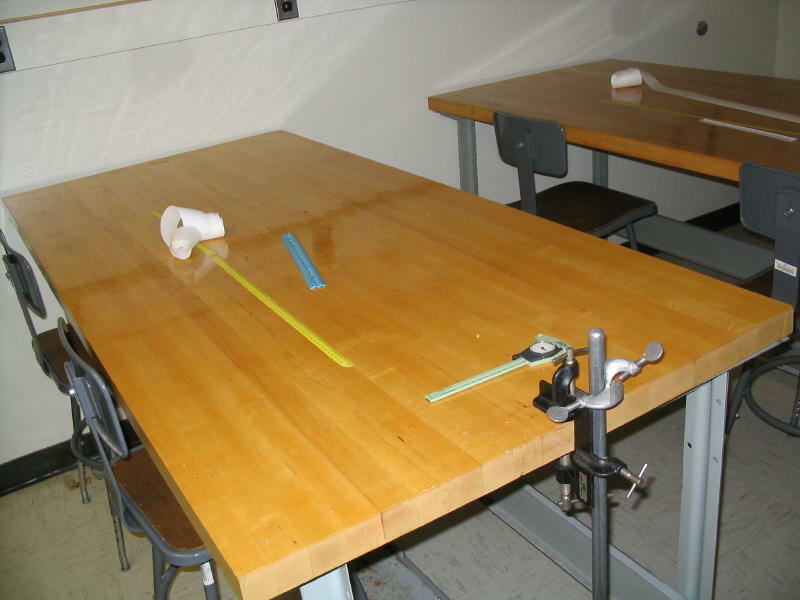 Students measure the distance between marks on the paper in order to calculate the average velocity of the mass. Since acceleration due to gravity is uniform, the average velocity is also equal to the instantaneous velocity at the midpoint of the chosen interval. Thus, the acceleration due to gravity may be found by finding the difference between at least two instantaneous velocities and dividing that by the time interval between them (friction being considered negligible). Some instructors prefer fresh tapes that have not had points circled or numbered previously. Find out if that is a requirement. Item modified on 2011-02-17 16:11:09 by andersone1.